Summertime and the livin’s easy! We all know why July is a great time to travel…beautiful weather, no school, and the beach looks spectacular. That’s also why it happens to be everyone else’s favorite travel month! For many places in the Northern Hemisphere, the Southern Hemisphere is in their winter solstice, cities are packed to capacity with tourists all yearning to see the sights! So in this post I am going to feature alternative places that aren’t the norm but are sure to inspire! 1) European Island – The Mediterranean coast is home to thousands of islands! From Croatia, to Spain, to Italy, to the famous Greek Islands. Islands can be a wonderful place to escape the tourist season, relax on a beach, and absorb the culture! Now you might be saying, “won’t the Greek Islands be crowded?” Places like Santorini and Mykonos will be but Greece has several other islands just as beautiful and all waiting to be explored! For example, In the Baleric islands of Spain, Ibiza will surely be packed with young vacationers all wanting their shot at the party scene. However, Mallorca and Menorca, the neighboring islands, all provide relaxing beaches and that laid back spanish style. Here are some suggestions. 2) Come Sail Away – Try a vacation at sea! I know cruising isn’t for everyone but maybe you’re more of a private sail boat kind of person! Cruising is a great way to see multiple locations without having to constantly get on a plane, find a new hotel, etc. Destinations, accommodations, and food have all been taken care of so all that’s left to do is plan what you want to do! Wether you’re traveling to the Caribbean, South America, North America, or Europe there are a ton of companies out there with all types of different itineraries and sized boats to customize your perfect vacation! My favorite cruise was on the Norwegian Breakaway, 7 day cruise, to Bermuda, out of NYC. We spent 3 days in Bermuda with plenty of time to explore the shore and had tons of fun! I also enjoyed my time on the Norwegian Jade from Venice to the Greek Islands! Finally, in May I spent 3 amazing days on the Carnival Sensation to the Bahamas. I would also recommend trying Yacht Week. They have destinations from Croatia, to Greece, to turkey, to Thailand. I haven’t personally been to one but fellow traveler, The Blonde Abroad, has and features this lovely article The beginners guide to Yacht Week. 3) Northern America – Try visiting the Cape or going up to Maine and trying some famous Lobster while renting a beautiful cottage! Try camping at a Marina or the beach in Montauk, Long Island. 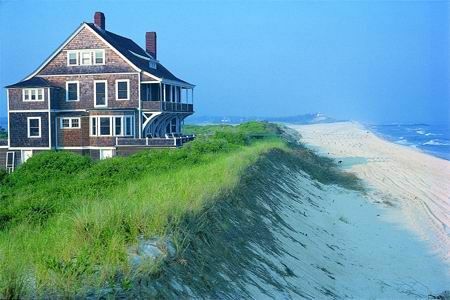 If you’re feeling posh try a vacation rental in the Hamptons. I grew up in Long Islands and Fire Island was always one of my favorite places! They’re no card allowed on the island so the island is the ultimate beach town! I also recently spent my entire summer of last year in the white mountains of New Hampshire. New Hampshire and Vermont are great places to go hiking and have a camp out! We did this often when I lived there, minus the hiking because my job required enough physical activity as it was. My one recommendation is to take a trip up to the white mountains and visit Santa’s Village! The greatest little theme park on the east coast (with some of the best food)! Where are you going this July? !